These slim line satin black flares are available in both one sided tank or both side for the new X Class. They are easy installation with 3m tape and clips that replace the original clips and screws. No new holes need to be drilled.. These Slim line flares are the best and the first in Australia. They will take 30 minuted max to install and are pretty much plug and play. Lock in a set of flares today and enjoy your Mercedes X Class looking the part on the streets of Australia. 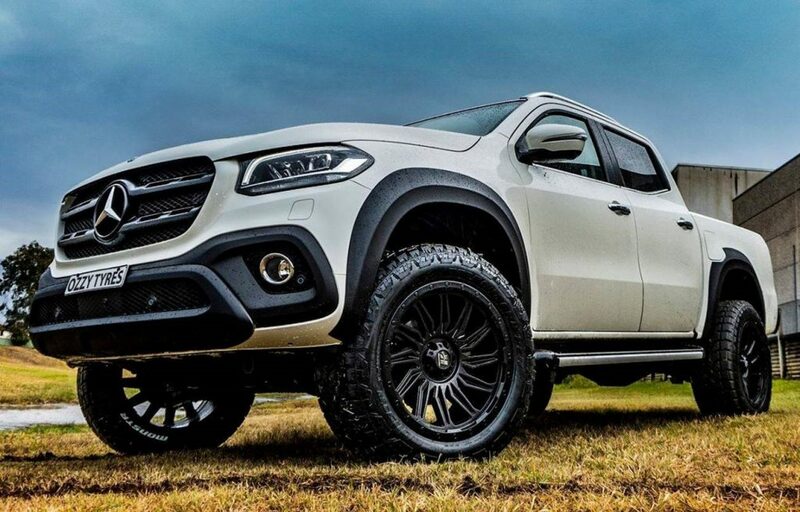 Much talk is going around about the X Class Mercedes and if it looks aggressive and tough enough as the current 4x4s roaming the streets and tracks of Australia. 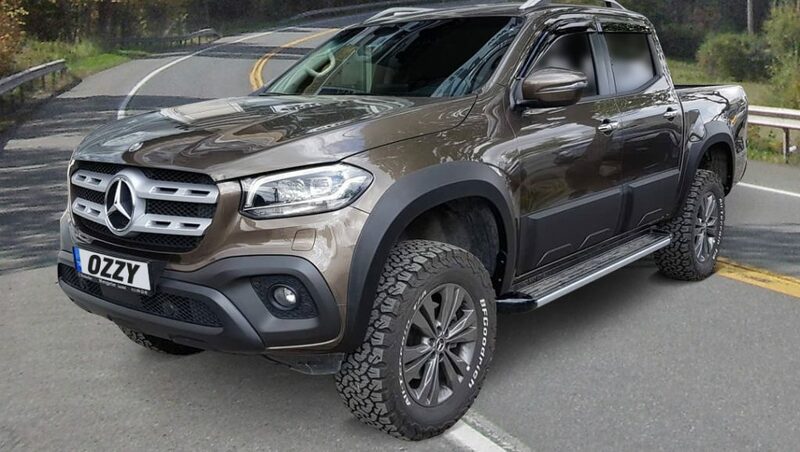 The Mercedes X Class most definitely has a better interior and a better front end. All it needs is a bit of aggression on the body and it will outdo the competition making the X Class look Superior than the others. The X Class body and flares are different to any other 4x4 vehicle on the road. We have created the moulds from scratch for the Mercedes X Class. Many 4x4s on the market have put the flares on to give a more aggressive look and a wider stance. This can be used for wider wheels or just to give a different appeal and look to the body of the vehicle. We have created 2 types of flare kits for the Mercedes X Class. The first one is the one that we think will be most popular which is the slim line clean flares. These flares will just be smooth and give the X Class a clean and classy flared out look. The flares come in a smooth matte black finish. They can be kept as matte black or can be colour coated to the vehicles colour. We offer the paint colour coating also. Just enquire and advise of vin number to match original colours. By doing this the vehicle will have a wide body look without the breakup colour of the flares. Either way the vehicle will look wider and much more aggressive. The other flare we do for the X Class is the one with the bolts on them giving them the more aggressive offroad look. Again these can be colour coated to suit the colour of the vehicle and just have the chrome bolts exposed. All X Class flares just stick on with 3M take and also have brackets inside. They later can be removed without damaging the vehicle. Also the application of the X Class flares are very simple and can be fitted simple. They come with instructions and are simple plug and play application. We deliver Australia wide and you can give your X Class the aggressive look with flares today. Just call 1300699699 to buy your flares over the phone, book in to get them fitted or delivered to your door. 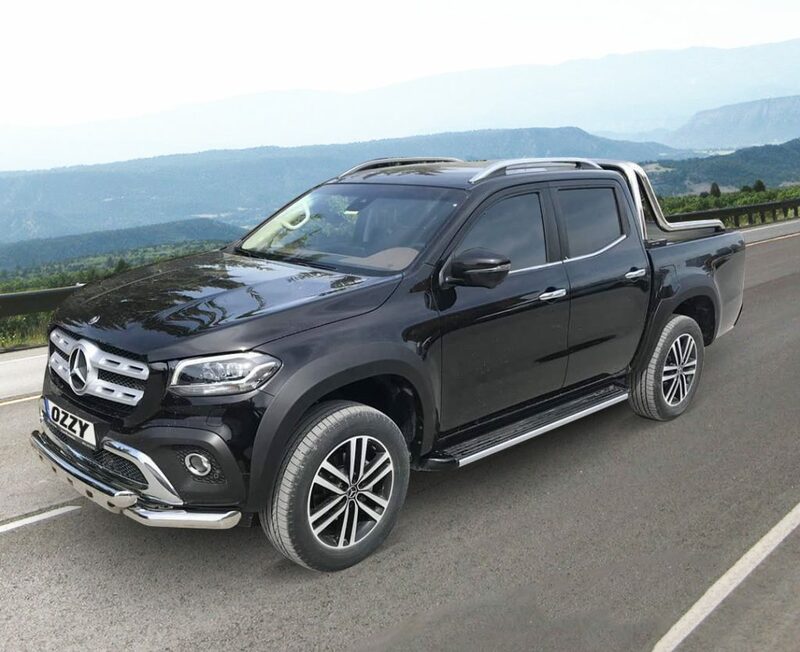 Get the X Class looking classy but tougher than the other 4x4s on the road and show them who is boss with your new flares. The X Class Interior looks very classy outdoing their competition. The front end is much classier also.. But the side of the vehicle needs to be beefed up and what a better way than beefing up a 4x4 is to add the flares on the guards. Now we are talking!! Let all the other 4x4s know that we mean business. There was much hype about this vehicle and now many are doubting it as it has not got the 4x4 aggressive appeal as the others..
Add the flares and straight away it adds this new appeal and look to the vehicle. You can also add Ridemax lift kit to gain more attention and some Hussla wheels to fill out the new flared guards with a more aggressive offset or deep dish wheel. 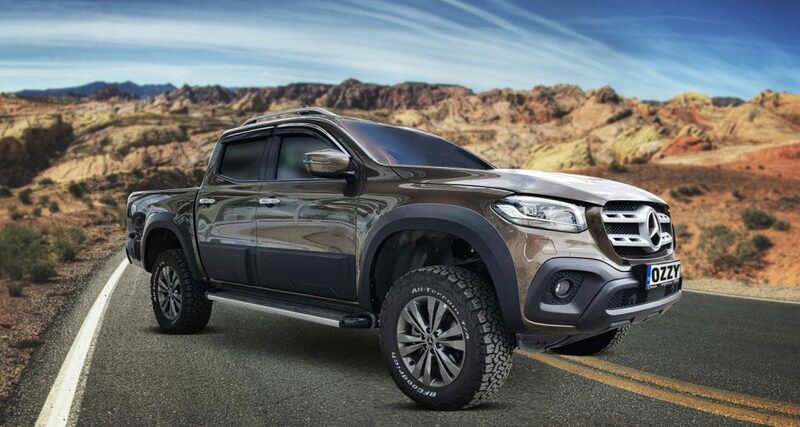 The Mercedes X Class is here to stay so lets get the new flares to show Australia and the world how we can beef up a beautiful vehicle to stay ahead of the pack when it comes to 4x4 styling.